Can Barcelona shine without their star man Lionel Messi? Barca's first test without their main man is against Inter Milan at home in the Champions League on Wednesday. 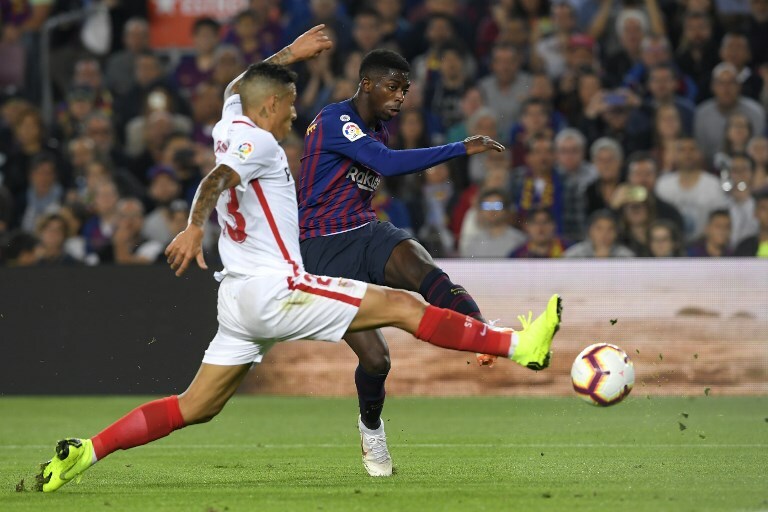 Catalans will look to Ousmane Dembele, Rafinha and Malcom, to step up in his absence. BARCELONA: Barcelona’s lowest ebbs are invariably followed by questions about Lionel Messi but the issue of over-reliance may become clearer over the coming weeks. The sight of Messi on the ground, grasping his right arm, during Barca’s win over Sevilla on Saturday prompted reactions inside the Non Camp normally reserved for the conceding of goals. 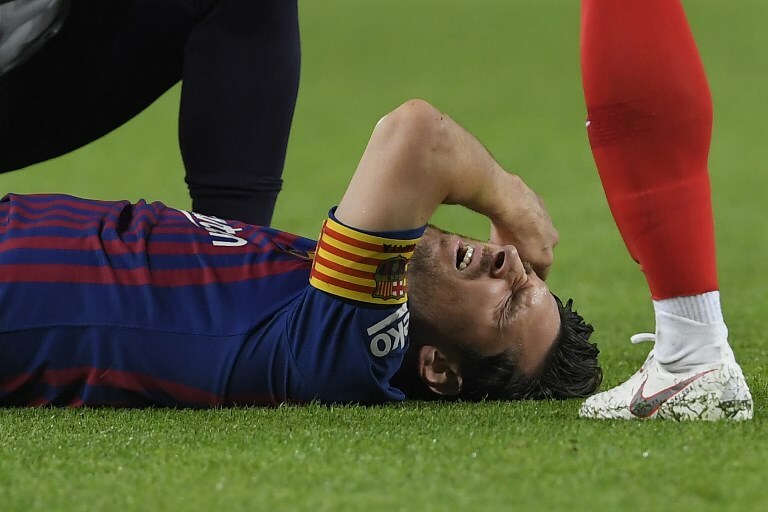 Hands behind heads, fingers over mouths, the concern became real shortly after the final whistle when the club confirmed Messi had fractured his radial bone. His absence leaves Barca vulnerable when they need him most, for a run of fixtures that includes Inter Milan in the Champions League on Wednesday, the Clasico against Real Madrid on Sunday, before a return match against Inter in Italy at the start of next month. Argentine ace Messi was in agony as soon as he hit the turf — he will be out for as many as six matches. Barcelona have grown used to accusations of dependence, not least when results have taken a turn for the worse. When Ernesto Valverde left Messi on the bench for the 1-1 draw at home to Athletic Bilbao last month, the argument was given added weight by him coming on and making the assist for their equalizer. The same point was raised last season, when Messi, as a substitute, inspired a late fightback from two goals down against Sevilla and scored in the 89th minute. He played the entirety of the Champions League collapse against Roma but then the criticism was Barca had failed to find the answer when Messi had not provided it. There is no team in the world that would not look worse with Messi extracted. As Real Madrid are proving in the absence of Cristiano Ronaldo, a striker’s goals are difficult to replace but so too is the aura. To maintain a resurgence built on wins over Tottenham and Sevilla, as well as a draw away to Valencia, Valverde will have to find the solution. Can Ousmane Dembele raise his game in the absence of Messi? On Monday, Marca listed six options in a “casting for replacements” — Ousmane Dembele, Rafinha, Munir El-Haddadi, Malcom, Carles Alena and Sergi Roberto. Alena, the 20-year-old midfielder, is an exciting talent, while Malcom, only a year older, scored 12 goals for Bordeaux last season. But Dembele is the most obvious. Messi’s position on the right of the front three is where he is most comfortable, rather than off the left, where the 21-year-old has often been made to adapt so far. After a debut season blighted by injuries, Dembele started the first six games of this one, scoring five goals. But doubts remain about him in big games, where his habit for losing possession can be punished by opponents quick in transition and clinical on the counter-attack. When Barca went three matches without a win, he was dropped. “He is not yet fully aware of what it means to play at the highest level,” said France coach Didier Deschamps last month. “He still needs to learn,” Valverde said last weekend. It would be a surprise if Dembele was not at least given the chance at Camp Nou against Inter, who are level on points with Barca in Group B, having also beaten PSV Eindhoven and Tottenham.